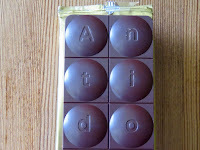 Welcome to Day #9 of Chocolate and Spices Theme Week. 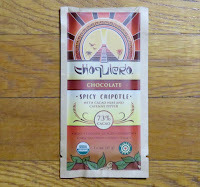 Today's Spicy Chipotle with Cacao Nibs and Cayenne Pepper 73% Cacao bar was from Choquiero Chocolate (Grass Valley, CA). 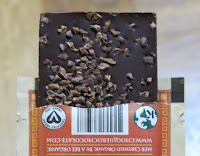 * The company sources "Heirloom, Wild, Arriba Criollo cacao from small farmers in Central America. 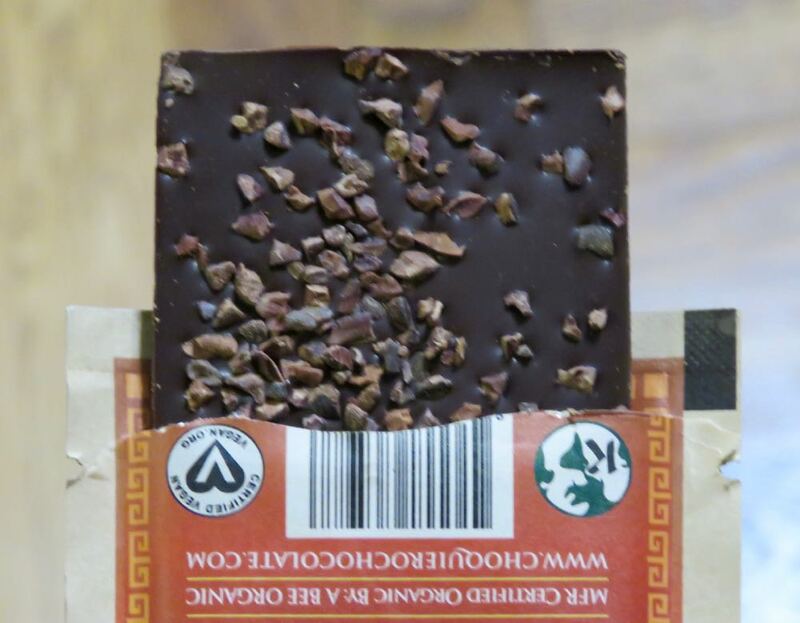 This organic, fair trade and vegan bar had a dark chocolate aroma with a hint of spicy pepper (chipotle and cayenne). 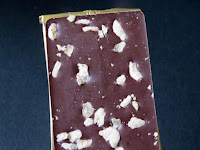 It was studded with crunchy cacao nibs on the back of the bar, sweetened with coconut sugar, and there was a small heat flare in the finish from the cayenne pepper. 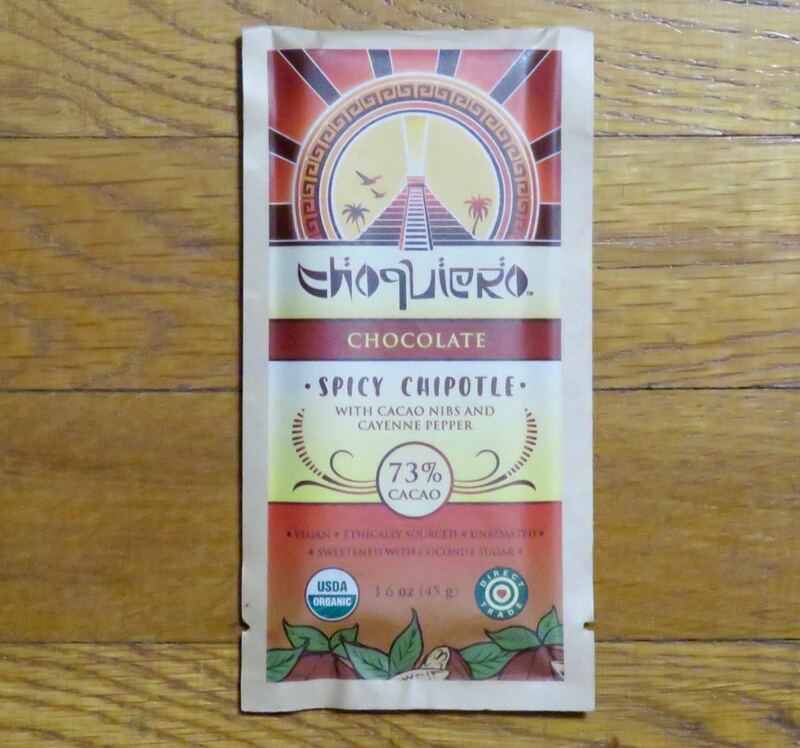 *Choquiero is California-based, with roots in a few locations. The company was "born in Oakland in 2013," and this bar was made in Santa Cruz, CA. Welcome to Day #8 of Chocolate and Spices Theme Week. 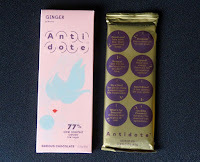 Today's Ginger Pieces 77% slow roasted cacao, low sugar bar was from Antidote Chocolate (Brooklyn, NY). 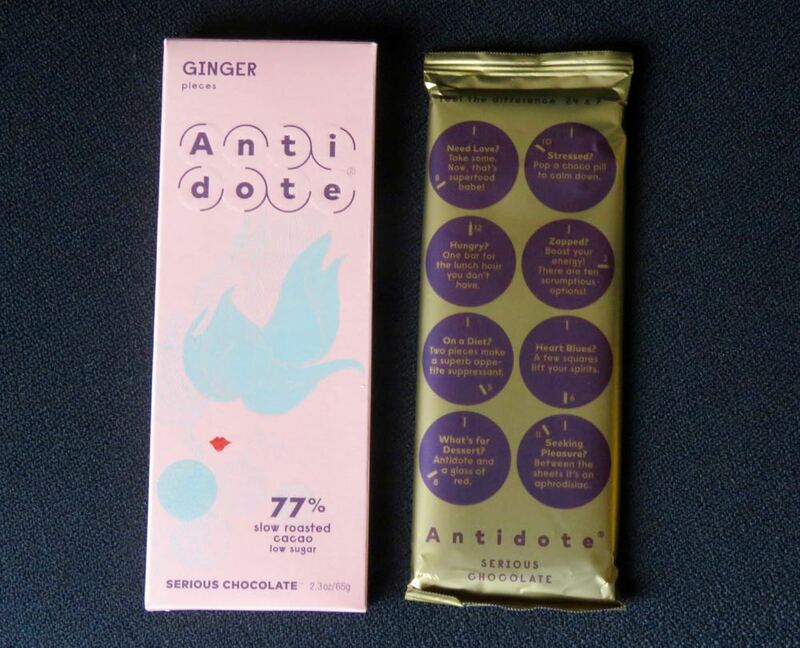 This smooth chocolate was rich, dark and flavorful (bright fruit, berry, dried fruit notes) and was interspersed with balanced, bright spice flavor from small ginger pieces. This bar could be enjoyed year-round; however it was especially effective in brightening up a gloomy, rainy day outside. 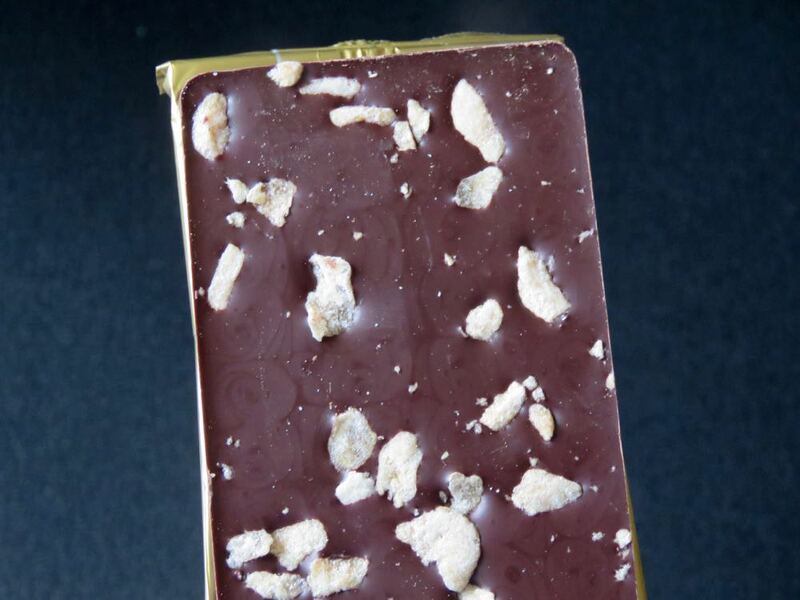 This week's spice-themed chocolate week has been full of bars with either cinnamon or ginger—two very popular inclusions. Tomorrow we'll feature something a little on the "hotter" side.